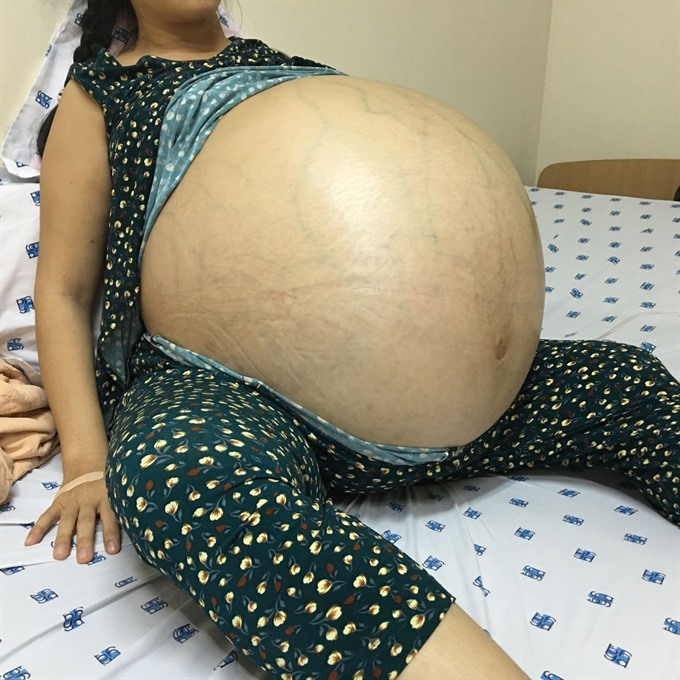 HCM CITY— Doctors at the University Medical Centre in HCM City have removed an ovarian cyst weighing 50 kg, which was the largest ovarian cyst ever recorded in the country, according to the hospital. A 39-year-old woman from An Giang Province, whose named was not disclosed for privacy reasons, was diagnosed with a non-malignant ovarian cyst by doctors at a major hospital in HCM City four years ago. But doctors failed to perform an operation to remove the cyst as she was not eligible for anesthesia because of low blood pressure and a heart problem. The cyst had become bigger and the pressure from the cyst had caused problems in walking, breathing and eating due to compression on her organs. Last month, she was transferred to the University Medical Centre from a hospital in An Giang Province after an onset of severe stomach pain and difficulty breathing. A team of doctors at various departments took part in emergency treatment and decided to carry out life-saving surgery to remove the cyst the next day. The woman underwent a six-hour operation to remove the cyst which weighed more than 50 kg when it was taken out. “This is the biggest cyst I have ever seen,” said Lê Thị Kiều Dung, head of the obstetrics department, who performed the surgery. “We had to carefully pull out the cyst with a coordinated action, with specialists from the departments of cardiology, respiratory, gastrointestinal, obstetrics, and anesthesia,” she said. 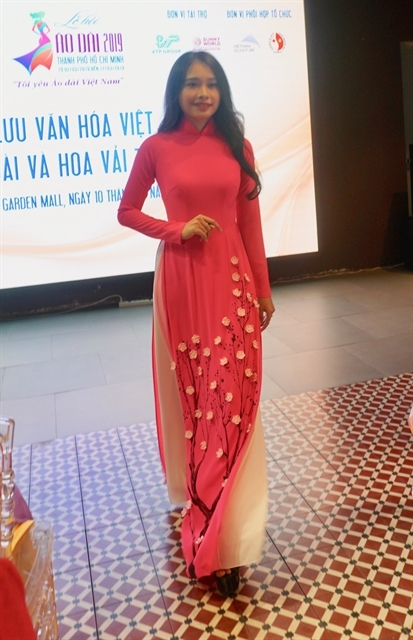 Doctors at the University Medical Centre in HCM City said that it was the biggest ovarian cyst ever recorded in Việt Nam.